How Good is this Lead Management System? Instant Leads is an incredibly sophisticated lead generation system, yet the buyers, affiliate and admin sections are all easy to understand and use. 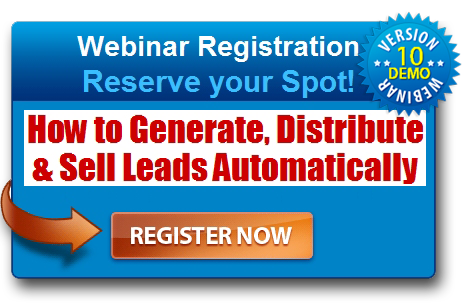 Run your lead acquisition, filtering, sales, lead distribution and management on total autopilot. Although many of our clients use Instant Leads for a single lead type, you are not confined in any way. You can have as many lead types, campaigns and buyers as you need. Also, adding users is simplicity itself, and there is no cost for adding users to the system. 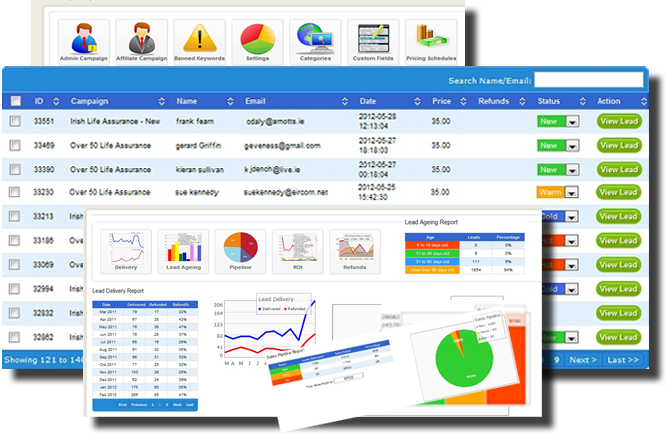 This unique lead management software enables you to generate, distribute, sell and manage leads of every type. It is one of the most effective lead management systems currently available, and can be your one-stop-shop for all your lead generating, lead routing, lead follow up, and sales; all wrapped up in a single package. 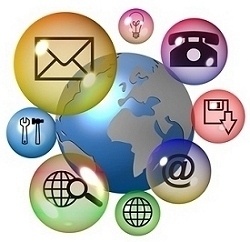 Instant Leads is totally web based and all areas of the system can be accessed through a simple browser interface. It can even be run from an iPhone or other handheld devices. Your sales force can automatically and instantly respond to every lead, the moment they are generated; ensuring the highest close ratios. Every lead campaign can be assigned different pricing structures. Also, you can ensure that your top sales staff only receive the best leads, while your trainees get lower value leads. This can all be achieved automatically using the built in lead filtration. Every lead is managed in such a way where recipients gets only the lead criteria that they want, or that admin has set for them to receive. Managing leads has never been easier! Instant Leads is a lead manager that's ideal for companies both large and small. It is an perfect solution for total lead management & control. It ensures higher productivity and profitability from your sales team. Whatever your needs; lead generation, lead selling, lead distribution, lead management, or lead selling; the software can be setup and used exactly as you need. Live and Imported Leads - generate live leads on websites, import leads from CSV files, or even receive leads by http post from other lead companies and sell them instantly (or through the cherry picker)! Ping Tree Bidding System - as well as round robin delivery, you can also activate the bidding system where buyers bid against each other, for even greater profits! 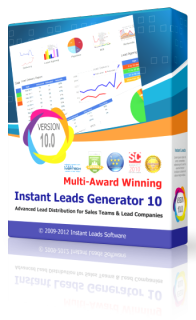 "Instant Leads Generator is incredibly adaptable, yet easy to use. It's ideal for lead companies, and all business that need to manage leads, and distribute leads to multiple users"